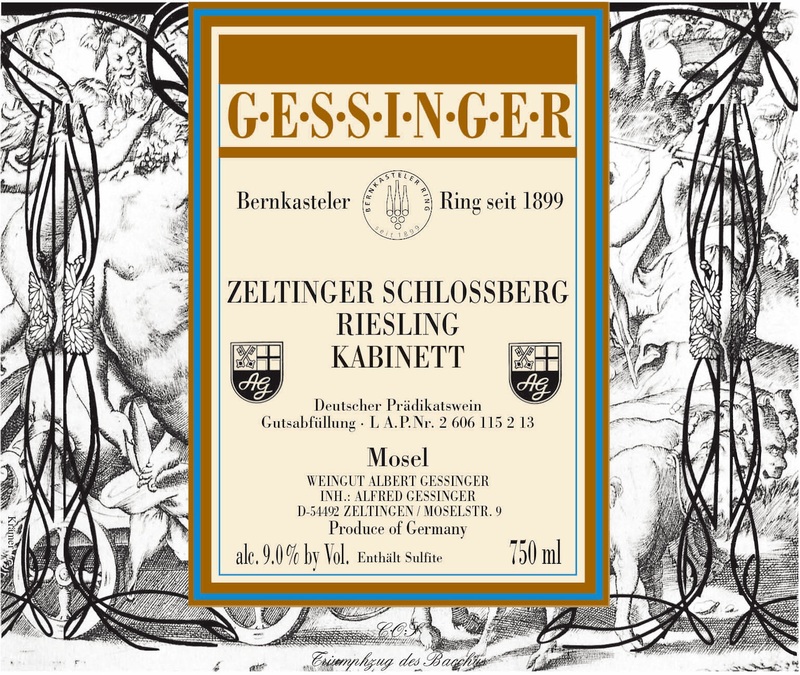 Gessinger Zeltinger Schlossberg Kabinett is 100 percent Riesling. The Zeltinger Schlossberg region is known for its fine weathering Devonian slate and extreme steep slopes. The wine offers a pure and bright bouquet of apricot, peach, litchi, ripe fruit aromas. Elegance and complexity on the palate, long flavors, well-balanced, rich and mineral.